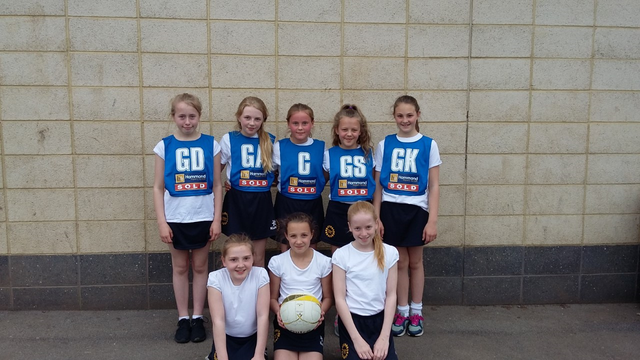 Our netball team played at Nottingham High School last Friday. They played and won all 3 games and conceded no goals. They all received a medal and the group were also awarded a trophy. Our Year 4,5 & 6 girls took part in a netball tournament on Wednesday at Nottingham Girls High School. This was a fantastic opportunity for those girls who haven't played before or represented the school. The sports leaders from the high school took the 2 teams and supported them throughout the afternoon. They all thoroughly enjoyed themselves against some tough opposition, many who had county players and boys in their teams. Year 5 girls played at Nottingham High School on 9th March. Due to their sharp-shooting, the girls finished in 2nd place. Well done to you all. This was a great achievement as half the team haven’t played in a match before. Special mention to Hannah from Year 4, who played up an age group. Some of our girls took part in a two-counties Christmas tournament last Saturday. Overall they came 4th and Lily from 5Ma received the most nomination and won fair player award. 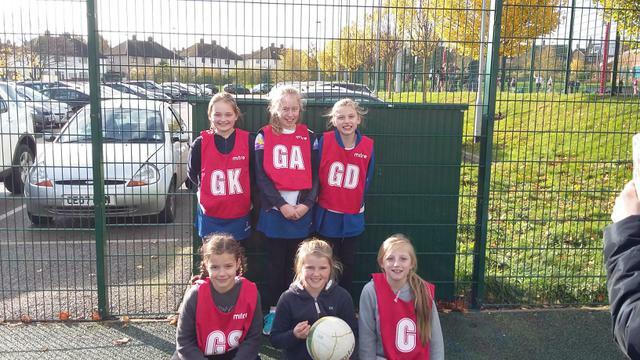 Saturday 11th November, some of the netball girls entered the monthly “Two Counties Netball Tournament”. They all played really well together and came 4th out of 8 teams—not bad as some of them have only just started Netball Club. Milly from 6M was awarded the players’ player award out of all the teams, after receiving the most nominations. Well done girls!! The girls played really well in the county finals, coming second in their group and narrowly missing a place in the semi-finals as best runner-up. Last month 23 girls from across Years 4, 5 and 6 represented Carnarvon in a High 5 Netball Tournament. It was a fantastic afternoon of netball, with a number of girls representing the school for the first time. Carnarvon A team won all their matches to get through to the final against West Bridgford, where they narrowly lost 3-1. 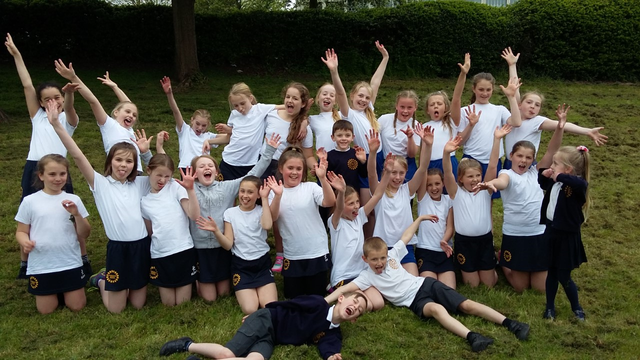 Although they came second, Carnarvon A team is through to the county finals later this month. 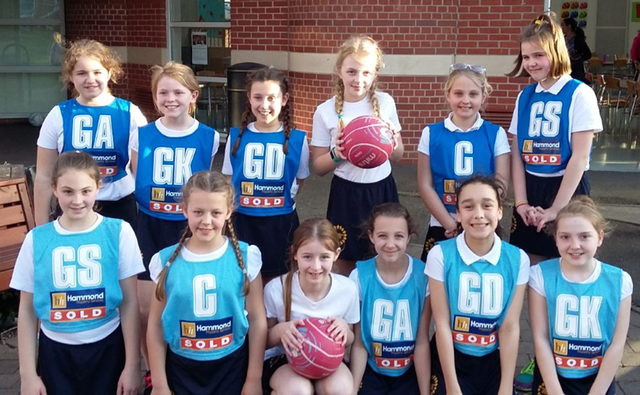 Eight girls from Years 4-6 represented Bingham Bullettes Netball Club on Monday night in the monthly two-counties netball tournament. Split between two teams, the girls were winners and runners up, with many of them receiving Fair Player nominations. From the 36 girls playing, Connie received the most nominations and was awarded Fair Player. Some of our Year 6 girls went to Nottingham Girls’ High School on Wednesday to take part in a High 5 Tournament. This festival gave some of the girls, who had never played in a tournament before, the opportunity to be involved in a competitive event. A big thank you to Hammond Estate Agents and Out ‘N’ About Mobility for sponsoring our teams and for their kind donations towards their new netball kits.